Fancy heading off to explore the Provence-Alpes-Côte d’Azur region and all its treasures? 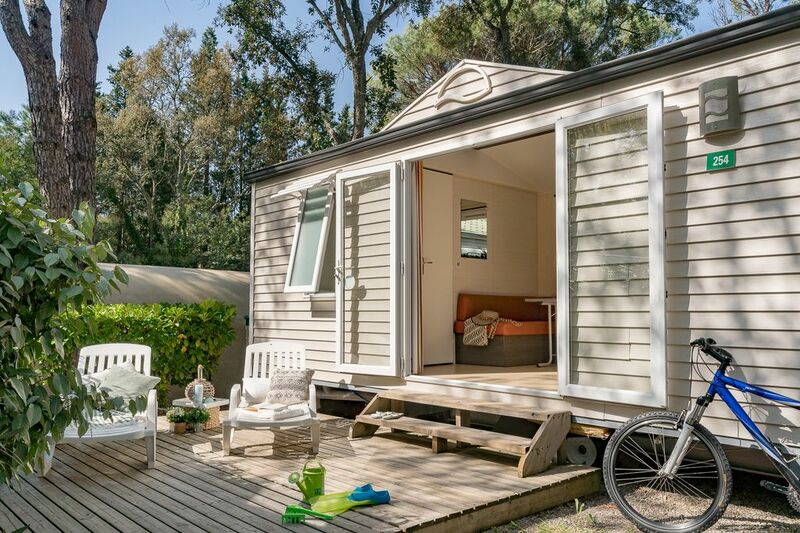 Stay in this attractive mobile home on our campsite in Saint-Raphaël, perfect whether there are 2, 3 or 4 of you. Enjoy its well-equipped kitchen and comfortable garden furniture for a meal together, cooled by a gentle Provençal breeze.